As I walked down F Street in Washington DC craving an after-dinner-cup-of-tea I stumbled into one of the most precociously perfect Tea houses I have ever been into! My acting coach always referred to ISMS as the special qualities that dignify a characters truths… So what could be a better namesake for a TeaHouse that prides itself on the quality and variations of tea they serve their customers. I myself chose a pot of the Jasmine Green Tea, which was the BEST $4 pot I have had in a long time! Maybe it was just the simple fact that I was craving a sense of tranquility, perfectly satisfied by Teaism’s atmosphere. The Zen-O-Sphere, as I would surmise, not only had a Koi Pond and waterfall, but an authentic Aroma that instantly transports you to an Asian Tea House! 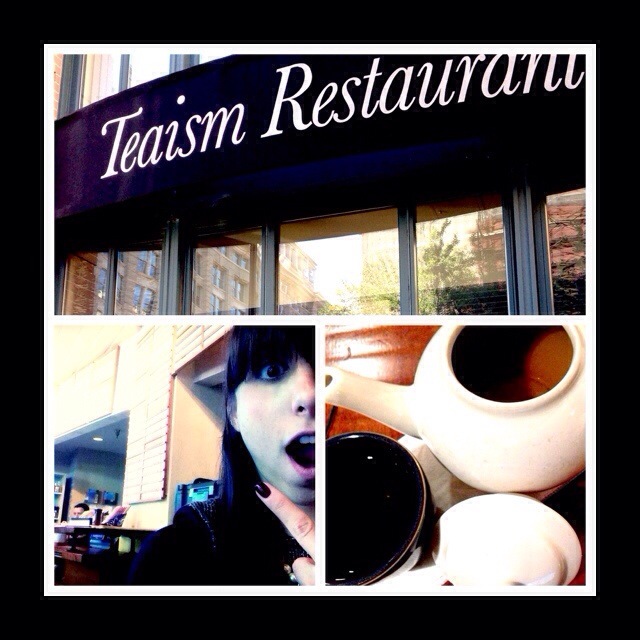 Teaism Restaurant will give you the opportunity to sit back and take a moment to relish on the adventures, stresses and developments this past week brought you and since it is Friday, what could be better! As I finished my evening and hopped in a cab, I befriended the Ethiopian gentleman who drove me to my hotel and he handed me a free gift as I exited his taxi… An Eternal Life pamphlet. As I browsed through it, one quote/ verse struck me, due to its correlation from this weeks adventures… UPDATE: My passport was found and shipped safely to my house today! Now whether you are Christian, Muslim, Jewish or Buddhist… This theory of humility seems to be a foregoing truth! With that thought I leave you this weekend and hope that the truth of humility, where treating yourself to a cup of Tea provides a tid-bit of #inspiration… Well I couldn’t ask for much more! May our inspiration shine upon you!